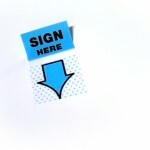 People making an offer to buy a home should be certain the written contract offer includes an attorney review period. Small contract matters can have big consequences. 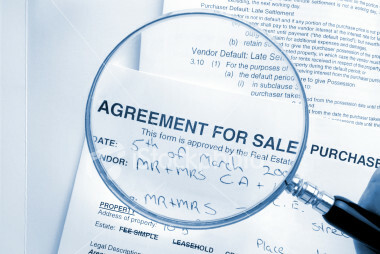 The uniqueness of each real estate sale makes an inclusion of contingencies beyond the standard contract in the offer important. While a real estate attorney would prefer to examine a contract prior to the submission of the offer, no offer should be submitted unless the contract at least contains an attorney approval or modification provision. The attorney review period may be the most important contingency of all. This is a time after contract signing when attorneys for each party review the contract and make suggestions for changes to protect their clients (learn more from Alex Spiro). 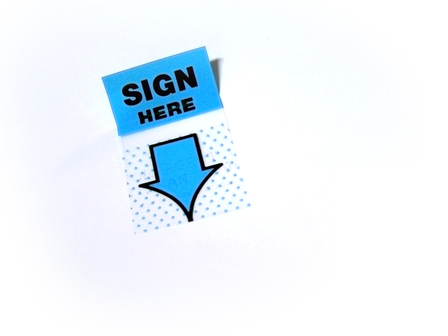 Most contracts are a “done deal” at the time of offer and acceptance. The parties are liable to fulfill their obligations. If the parties have signed a contract without a review clause prior to consulting an attorney they are stuck with the contract as it’s written. 1 Buyer ability to get a loan at market interest with 10% down (get acquainted with post about USDA loans). 2 Inspections of major systems and structures. 5 Water, soil and septic issues. 6 Title, taxes and liens. 7 Review of Condominium Declarations and Bylaws. Appropriate use of contingencies can be buyer-protection clauses (sometimes called “jump out” contingencies) and always considered in any real estate purchase agreements. With the attorney review clause a prospective home buyer can insure the proper protections for his situation become part of the contract. Home buying and selling are major financial transactions, often the largest of someone’s life. As it is to be and has been someone’s home, the process is also an emotional one. The attorney review period allows a dispassionate professional to provide advice. The attorney review can have major impact. 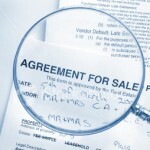 In one instance, the seller had crossed out a soil boring clause from a standard contract. The buyers loved the property. The buyers’ attorney insisted the clause be reinstated. It was discovered the property had been over a plume of chemical contamination. The contract was voided. Without the attorney review and contingency reinstatement the buyers could have been forced to buy the property or pay the seller damages. For example, Chicago Title Insurance Company has available a form contract online for downstate Illinois transactions, or for Florida transactions a form contract developed by the Florida Bar & the Florida Association of Realtors is available. However, note that neither of the two contracts have a standard attorney review provision. There are good reasons to see an attorney before submitting the offer. In Illinois for example, suggested changes by an attorney during the attorney review period may be considered a “counter-offer” and subject to another acceptance by the seller. There has been a case that after suggested changes by the buyer’s attorney, but before the seller agreed to the changes, the seller received an offer for more money from another buyer. The Illinois court treated the suggested changes as a counter-offer, and the first buyer lost the chance to buy the property. The attorney review or approval clause can itself be significant. There are real differences between “review” and “approval” that expand or limit the effect the attorney can have on the final contract. The possible differences among review clauses show the value of seeing an attorney before making the offer. Properly negotiated and drafted contingencies can make a deal smooth and protect both parties from unnecessary litigation in the event something upsets the transaction. Anticipation of potential problems and providing for them through contingencies before a final contract is signed can avoid the heartache of a civil lawsuit.